A black man sits in an alley pleading with god, when he gets no response he blows his brains all over the pavement and dies. As his soul reaches heaven a woman approaches his body and brings him back to life. He wakes up in the present and searches for a lost little girl in the ghetto. He locates the child and battles a demon of some kind who preys on the helpless. The demon also reveals he killed Seraphs sister years go. 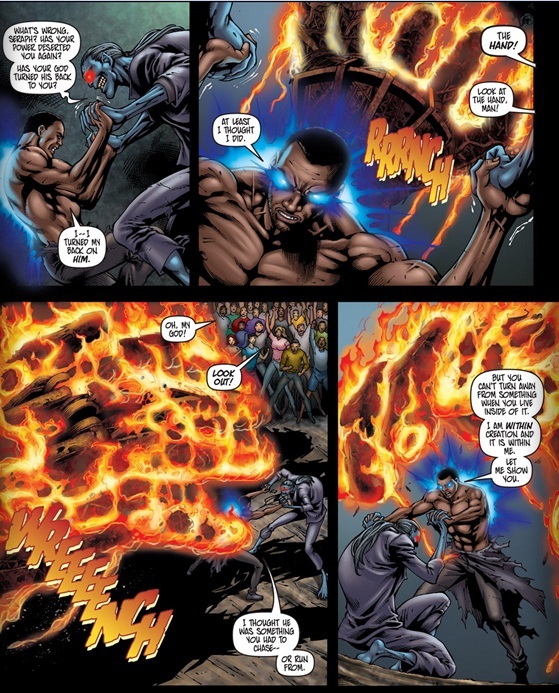 He loses control of his powers and the building collapses. He wakes up atop an adjoining building with an Angel who gives him advice and to reaffirm his belief in god to make himself stronger. He locates the demon at the burning hand festival and defeats him and saves the little girl. Same time elsewhere two people meet in a diner to discuss his role whether on the side of good or evil. Cover- Dynamic colors and killer line work make this issue stand out on the comic rack, it’s the reason I picked this up! It has this captivating quality. Christianity– Finally a Christian based comic I can sink my teeth into and recommend heartily for Christian friends. Kudos to Phil Hester and Lance Briggs! Art- Nice fitting artwork courtesy of Jose Luis with dynamic and cool colors from David Ocampo and Bill Farmer. Action– Holy war starts here as Seraph and a demon throw down supernatural style! 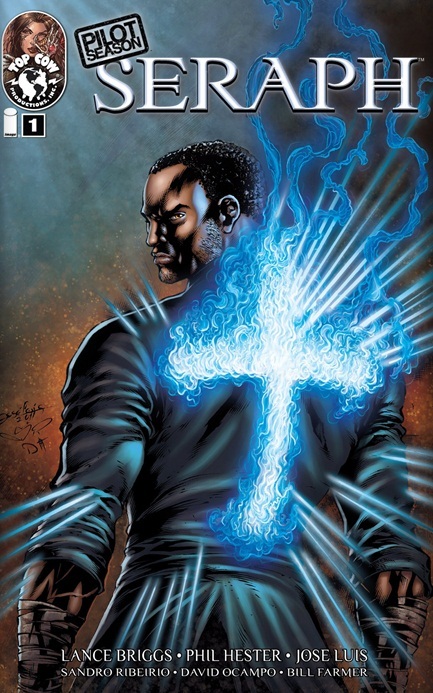 New Black Superhero– A fresh new addition to the black superhero game! I like! Heaven?– Big question to both writers not to be nitpicky or to throw some real religion on this supernatural tale BUT suicide is a mortal sin or so I hear. If this man killed himself he would plummet to hell as opposed to rise to the pearly gates. Sorry but that was jarring in its absurdness. 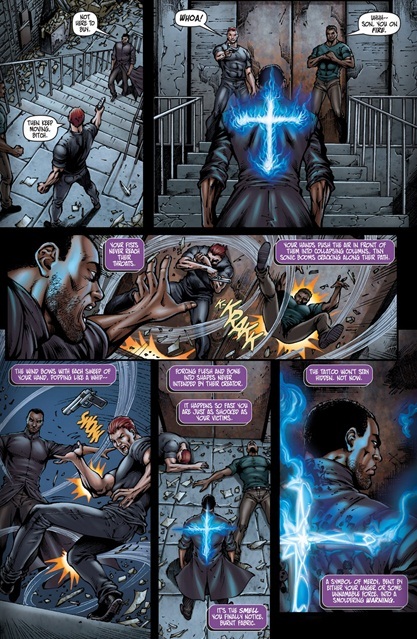 Christianity- Some may be put off by this healthy dose of religion in their comic book, some think religion should be separate and apart from this line of entertainment. The issue of suicide is viewed differently by the various religious factions. If one ascribes to Catholicism, then the view of someone committing suicide and going straight to hell would be correct; if one is not cathlic, then their view on suicide would be different. It is a disgrace you do not have a donate button! I’d most certainly donate to this great blog! I guess for nnow i’ll settle for reserve-marking and adding your RSS feed to my Google account. about this web page with my Fb team. Chat shortly!